This year has been one of major transformation as I have been on a journey with my inner self and uncovered many beliefs on romantic relationships which have been holding me back from love. I’m used to being single and have never been one to rush into a relationship but there was a yearning inside which I didn’t want to admit I had and that was to be in a loving, fulfilling, romantic relationship. The transition from dating into being in a relationship just never seemed to happen for me and it was an ongoing pattern. This time I decided to go within and figure out what was wrong. Not because I felt I wasn’t good enough, but because I knew that there must be some unhealed wounds which I needed to confront and work through in order to stop the same situation from manifesting into my life again. I had always heard and read quotes such as, “You won’t find love unless you love yourself first” and so this was the time I had to finally learn what that meant. I started reading and listening to Wayne Dyer, Marni Battista, Marie Forleo, and Katherine Woodward Thomas. From those authors I learned many things which I will share. Firstly, I finally admitted that my biggest fear was rejection which was painful to admit for an alpha female, such as myself. I assumed that because I’m such a catch and I know what I want in a man that I couldn’t fail at attracting the right relationship; there was lesson number two which was that my fear of rejection came from believing that rejection = failure. I was sure that I loved myself but after listening to Wayne Dyer’s “Your Erroneous Zones” I realised that I had been rejecting myself all along. This was in the form of self criticism which many of us do without even realising. I assumed that my inner dialogue with myself was fine. I thought that saying, “I’m beautiful” to myself and liking what I saw in the mirror meant that I loved myself. However that love was so conditional; I only felt good enough when I looked good enough. If my hair wasn’t blonde enough or my abs didn’t stand out, I needed to correct those things first and then I’d love me. I started reading, “Calling in “The One”: 7 Weeks to Attract the Love of Your Life” by Katherine Woodward Thomas and from that book I have gained so much knowledge and understanding on how and why I’ve been holding back on love. As a single female, everything in my life would feel fine but as soon as a man made me feel special and listened to, I would latch onto that. Unbeknown to myself at the time, that reaction was because I was craving love and had voids I was trying to fill. Voids such as feeling appreciated, valued and cared for. I wanted someone to give me their time yet I always had doubts that the man had other priorities other than myself. Fair enough I always said I’d put my career first and so I expected that off the man, but that was the mistake I was making; I was undervaluing myself and didn’t believe that I deserved to be a priority enough for him to make time for me. It’s OK to want to be a priority. It’s OK to ask for someone’s time. If they can’t give it to you, they’re either not interested enough or not the right person for you. I’m going to make more time for myself so that I can learn to enjoy solitude. The lack of trust and emotional openness in those beliefs contradict the trust and emotional connection needed in a romantic relationship. Now that I was aware of why I would never let a man in, I had the ability to transcend that attitude into a more loving and trusting one. Relationships are about being authentic, not perfect – I was obsessed with being the perfect girl in order to avoid rejection however perfection is boring. Being authentic means you love yourself regardless of what others think or feel towards you. I am enough – I thought I loved myself but boy was I undervaluing myself as I tried so hard to be ‘perfect’. Being perfect or ‘the nice girl’ won’t get you the person you want – You need to know who you are and always make yourself the priority. Not in a selfish way but in a way where the other person loves you and wants you for yourself, not who you think you should be. I didn’t know it but I was hungry for love because I wasn’t giving it to myself (even though I thought I was through vanity) – I wanted commitment but rushed into passionate dating which then never progressed. Stop accepting crumbs when you want the whole cake – This is something I learned from “Dating With Dignity” by Marni Battista. Declare what you want and be unapologetic about it. If they can’t give it to you, move on and let someone who will come along! When you’re truly in love with yourself, it doesn’t matter if others love you or hate you – You become indifferent to others’ reactions and feelings towards you as they hold no status in defining you or how you feel about yourself. Life is now! – This is something I learned from “Make Every Man Want You” by Marie Forleo. Stop waiting for the right person to show up or for next month’s holiday to feel good. Feel good now as life is full of opportunities and happy moments which will make themselves apparent when you choose to step into your happy place and feel peace. Romance and passion every day is possible but sometimes they need to take a backseat – Relying on those feelings to determine who you fall in love with and when aren’t the best tools to predict how successful a relationship will be. Friendship is key – This is first and foremost important as it’s through friendship that the building blocks of a strong relationship such as mutual trust and respect are found. We all want our romantic relationships to last our lifetime but that can hinder taking risks – Entering a relationship can be risky since you’ll be devoting a lot of your time and feelings to that person…and after that it may not even last! However the obsession of finding ‘the right one’ or fear of falling for ‘the wrong one’ prevents us from taking risks and enjoying the beauty of whatever will manifest. Release the need to be right as life is and always be ever-changing. In a few days it’s going to be a year since my ex and I split up. This year of being single has been amazing. However, the first few months were agonizing and hard as I had to rebuild my self love from the pain of the breakup and emotional turmoil. I had become insecure and found it very easy to fall into the trap of self pity and blame. Such feelings are common given the circumstances and I never wanted to fall in love again. I also felt as if I had forgotten how to be single and being alone with my thoughts was unpleasant. I now look back and am grateful for the experience. My ex was my first proper boyfriend, my first love and he set the standard for every guy thereafter. The men I attract now are so much better than the boys I’d attract before that relationship. I am also a lot more aware of my self worth and do not feel I need attention or a male figure in my life constantly in order to feel good about myself. I’ve never been one to rely on a male companion to feel fulfilled or happy however we all enjoy receiving attention and it’s fun having that someone to flirt and talk to. Being in love and the feeling of fresh romance is exhilarating and I can look back at the moments I first fell in love and feel the raw, intense joy it brings. That is how I know I have fully overcome the pain from that breakup and feel no bitterness towards my ex. I have reached a place of understanding and compassion. I see and understand that every relationship and romantic encounter is a lesson to us; they allow us to collect data on what we really want and need in a man. These “mistakes” allow progression and so when approached from a detached perspective, the breakups do not being pain, they bring us an opportunity to upgrade from the relationship we thought was best for us. I needed to make that mistake of falling in love and being attached in order to be able to look at myself later and realise where I had gone wrong in order to prevent that happening again. Being in love for the first time can be very confusing and overwhelming The next relationships will only be better as I now know what it feels like to fall in love and how I should keep myself aware of the bigger picture in life at all times. We can easily lose sight and get caught up in the infatuation and feelings of romance. We can also easily get caught up in the feelings of bitterness, pain and over-thinking of what went “wrong” when the relationship ends. Every emotion and experience serves us and it takes time for us to get over all the negative, confused emotions and thoughts to embrace that concept. I feel I am at my peak with my sense of self worth and what I deserve in a man and that will only expand in the future. Life just gets better and better as time goes on….if you let it. When I now think of what I want in my man/husband, there is more on the list than there was 18 months ago. My ex was everything I wanted back then, the guys after him have been an upgrade since and now I am still adding to that list (I’d listen to Beyoncé – Upgrade U after the breakup quite frequently 😉 hehe). I cannot wait to meet this amazing companion. However I am happy being single at the moment and I’m so in love with myself and life that I feel fulfilled. I feel satisfied yet excited and open to receiving more of life’s great gifts which are beyond our imagination. It’s all about finding that balance between feeling fulfilled and happy with life yet also aware and open to new experiences. Being so satisfied with life that you feel bored is stagnation, keep the imagination flowing. So I’d like to say thank you to the universe for that heartbreak I experienced last year and the amazing year I’ve had being single. I feel strong, I feel love, I feel joy, I feel invincible, I feel aware and I feel expansive. 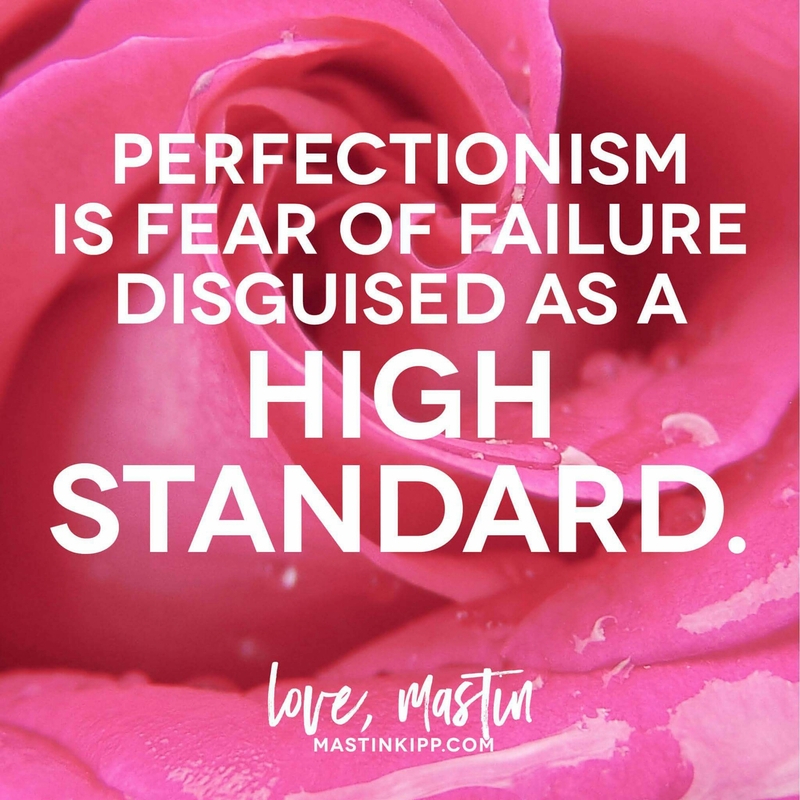 As Anthony Robbins says, “Raise your standards.” Life presents you with higher standards through mistakes and so you can only receive better if you embrace every lesson life brings. Just a sweet guy? Or a Man too? It’s great having a guy that is a gentleman and treats you so well however make sure he’s also a MAN. Don’t let his sweet gestures and words take you over, he needs to be able to prove he will stick by you and not waver because of his insecurities. He may be a genuine and kind hearted guy however people can be quick to say things and blurt out whatever they’re feeling at the time such as “I love you”. Does he just want someone to dote on and is infatuated by you or do his words have actual substance and longevity? Sometimes people are scared of their own feelings and wish to regress. When push comes to shove and he’s no longer there for you, that’s his fault for not being able to handle having a WOMAN. Format AsidePosted on 27 November 2012 10 July 2016 Categories Life, RelationshipsTags female, love, Relationships, womanLeave a comment on Just a sweet guy? Or a Man too?